Since the dawn of life on earth, organisms have played roles in mineral formation in processes broadly known as biomineralization. This biologically-mediated organization of aqueous ions into amorphous and crystalline materials results in materials that are as simple as adventitious precipitates or as complex as exquisitely fabricated structures that meet specialized functionalities. The purpose of this volume of Reviews in Mineralogy and Geochemistry is to provide students and professionals in the earth sciences with a review that focuses upon the various processes by which organisms direct the formation of minerals. Our framework of examining biominerals from the viewpoints of major mineralization strategies distinguishes this volume from most previous reviews. 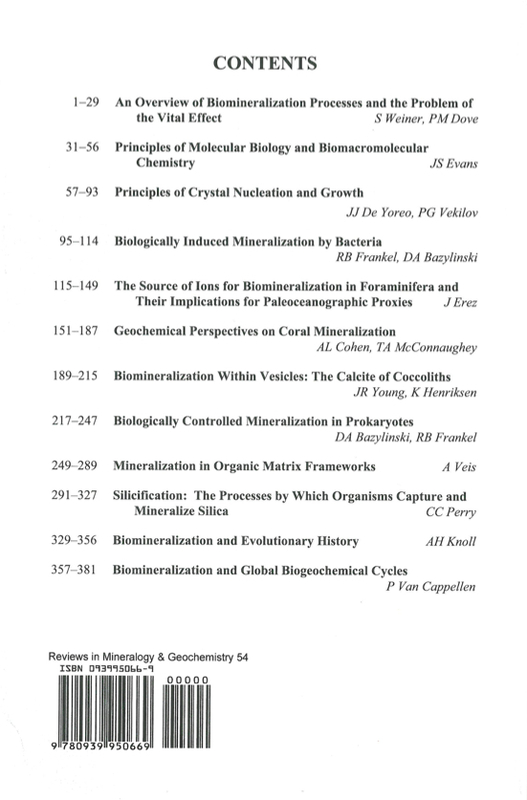 The review begins by introducing the reader to over-arching principles that are needed to investigate biomineralization phenomena and shows the current state of knowledge regarding the major approaches to mineralization that organisms have developed over the course of Earth history. 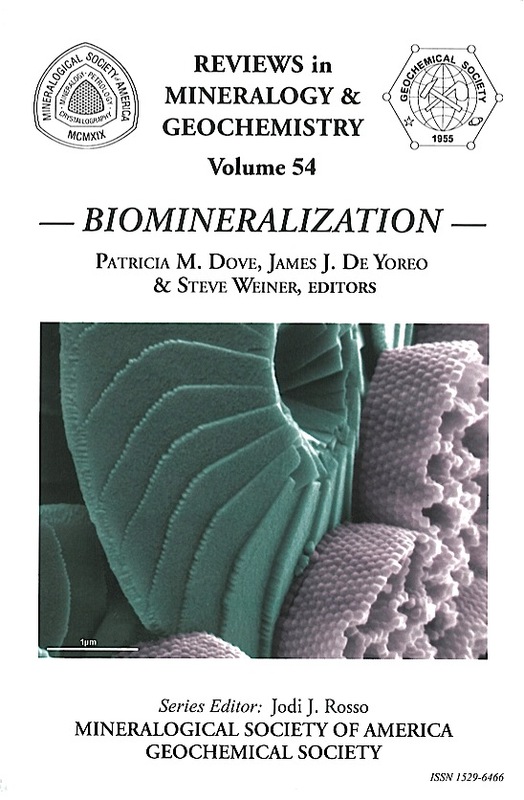 By exploring the complexities that underlie the "synthesis" of biogenic materials, and therefore the basis for how compositions and structures of biominerals are mediated (or not), we believe this volume will be instrumental in propelling studies of biomineralization to a new level of research questions that are grounded in an understanding of the underlying biological phenomena.